The name is derived from two German words — hell meaning "bright" or "clear" and brunnen meaning "fountain" or "spring." The old family homestead, at least as far back as about 1650, was in the village of Hilbringen in the Kreise Merzig province, in what is now the Saarland, formerly the Lothringen region of Germany (or Lorraine region of France). Hilbringen is a small, picturesque village (see below, left) nestled against the rolling hills of the Saar River valley and is located about halfway between Trier on the north and Saarbrücken to the south, and about 5 miles east of the French border. The region was visited by the webmaster and his wife in 1984. Some limited evidence exists that the Helbron surname may have originated in or near the ancient Roman city of Treves, present-day Trier, about 21 miles (~34 km) north of Hilbringen. Some yet unconnected Helbron families have ties to Trier and appear in their local Church records. An original genealogy of the Helbron family was conducted in Germany about 1936 by Rolf-Heinrich Helbron (RN=781). Unfortunately, he was to become an early casualty of World War II. In 1980, This genealogy was relayed to me initially by his brother, Dr. phil. Hans Helbron of Bremen in 1980 and augmented during our visit in 1984. While this genealogy did not include details regarding the portion of the family that had immigrated to America in 1868, it served as the cornerstone for my research. In the ensuing years, this information has been expanded to include present generations, as well as some earlier generations that were not included in Rolf-Heinrich's original work. A few "unconnected" families still remain, although they appear to retain ties to the mainline Hilbringen family. Between 1740 and 1750, Schloss Helbron (see above, right) was constructed in nearby Biringen by the noted German architect, Christian Kretzschmar. 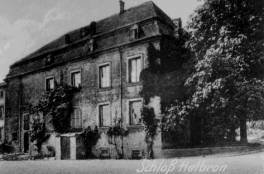 This was to serve as the Helbron family home until just prior to the outbreak of World War II when it was sold to the Johannes family since most of the Helbron family members had left the area. Unfortunately, the structure was completely destroyed during the War when it came between enemy lines. The immigrant, Johann Rudolf Helbron (RN=8), arrived initially in New York (Castle Garden) from Hamburg, Germany on 22 Jun 1868 aboard the Holsatia. He returned to Germany, likely to deal with the estate of his father (RN=16) who died in 1873, then returned to the U.S. a second time arriving in New York (Castle Garden) aboard the Thuringia on 19 Mar 1874 from Hamburg, Germany. 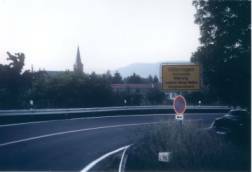 In my interview with Dr. Hans Helbron (RN=786) in 1984 in Germany, he recalled that the emigrant had made "several" trips back to Germany, supposedly between 1890 and 1919, presumably to deal with the estate of his older brother, Jean Jacques (RN=772). Since RN=8 died in 1912, it is unlikely that another trip was made and no other return passenger lists have been located to-date. Limited lineages on three surnames related to the Helbron family are also provided. These are Gerardy, Johannes, and Löwenbrück. A lineage of my wife's family, Helizon, is also included. 2 i. Peter D Helbron. Born ca 1677; died 1730 in Hilbringen, Saarland, Germany. RN=738. Self-named "Peter Hilbringer". Occupation: Priest (Pfarrer). Single; no children. + 3 ii. Johann Peter D Helbron. RN=128. 3. Johann Peter D Helbron. (Johann Grandil E). Born ca 1680 in Hilbringen, Saarland, Germany; died there 14 Aug 1769. RN=128. Occupation: Landlord (rentier). 4 i. Catharina C Helbron. Born 20 Dec 1731 in Hilbringen, Saarland, Germany; death date and place unknown. RN=2770. Descendants unknown. 5 ii. Anna Maria C Magdelena Helbron. Born 21 Jul 1733 in Hilbringen, Saarland, Germany; death date and place unknown. RN=2771. Descendants unknown. 6 iii. Jacob C Helbron. Born 1 Jun 1735 in Hilbringen, Saarland, Germany; death date and place unknown. RN=2772. Descendants unknown. 7 iv. Johann C Helbron. RN=2773. Born 15 Nov 1737 in Hilbringen, Saarland, Germany; death date and place unknown. Descendants unknown. 8 v. Heinrich C Helbron. Born 29 Mar 1740 in Hilbringen, Saarland, Germany; death date and place unknown. RN=2774. Descendants unknown. 9 vii. Anna Maria C Helbron. Born 12 Aug 1742 in Hilbringen, Saarland, Germany; death date and place unknown. RN=2775. Descendants unknown. + 10 vi. Johann Nicolas C Helbron. RN=730. + 11 viii. Christian Johann C Helbron. RN=64. 12 i. Johann B Helbron. Birth date and place unknown; died 1794 in Trier, Rheinland-Pfalz, Germany. RN=625. Occupation: Law Professor. Descendants unknown. + 13 ii. Johann Baptist B Helbron. RN=1544. 11. Christian Johann C Helbron. (Johann Peter D, Johann Grandil E). Born 5 Mar 1747 in Hilbringen, Saarland, Germany; died there 5 Mar 1784. RN=64. 14 i. Jacob B Helbron. Born on 26 Oct 1770 in Hilbringen, Saarland, Germany; died there 4 May 1853. RN=702. Occupation: Priest (Pfarrer). Pastor of St. John the Baptist Church in Mondorf, Saarland, Germany. Single; no children. 15 ii. Franz B Helbron. Born 4 Mar 1773 in Hilbringen, Saarland, Germany;died 27 Apr 1836 in Kirschnaumen, Moselle, France. RN=703. Occupation: Priest (Pfarrer). Pastor at church in Kirschnaumen, Moselle, France. Single; no children. + 16 iii. Maria Benedikta B Helbron. RN=704. + 17 iv. Johann Baptist B Helbron I. RN=32. 18 v. Maria Magdelena Susanne B Helbron. Born 26 Sep 1780 in Hilbringen, Saarland, Germany; died there 8 Aug 1785. RN=705. Single; no children. + 19 vi. Anna Maria B Helbron. RN=706. 20 i. Elisabetha A Helbron. Born 3 May 1801 at Arzheim, Rheinland-Pfalz, Germany; death date and place unknown. RN=1711. Descendants unknown. 16. Maria Benedikta B Helbron. (Christian Johann C, Johann Peter D, Johann Grandil E). Born 27 Sep 1775 in Hilbringen, Saarland, Germany; died 10 Jul 1862 in Mettlach, Saarland, Germany. RN=704. + 21 i. Catharina A Hafner. RN=2447. 22 ii. Johan Baptist A Hafner III. Born 5 Apr 1798 in Merzig, Saarland, Germany; died there 28 Apr 1856. RN=2448. Married Elisabeth Kreuz, daughter of Mathias Kreuz and Anna Gertrud Guckeisen, on 31 Jul 1821 in Mondorf, Saarland, Germany. RN=2747. Descendants unknown. 23 iii. Heinrich A Hafner. Born 27 Jul 1800 in Merzig, Saarland, Germany; died there 28 Jun 1854. RN=2449. Married Margaretha Müller, daughter of Johann Thibeaut Müller and Johanna Schuller, on 25 April 1825 in Merzig, Saarland, Germany. RN=2753. Descendants unknown. 24 iv. Michel A Hafner. Born 8 Jun 1806 in Merzig, Saarland, Germany; died there 7 Oct 1808. RN=2550. Single; no children. 25 v. Michael A Hafner. Born 4 Jul 1812 in Merzig, Saarland, Germany; died in Mettlach, Saarland, Germany, date unknown. RN=2593. Occupation: Cabinet maker (Schreiner). Married Margaretha Bock, daughter of Michel Bock and Anna Maria Becker, on 25 April 1837 in Merzig, Saarland, Germany. She was born 17 May 1815 in Dilligen, Saarland, Germany; died 4 May 1870 in Mettlach, Saarland, Germany. RN=2808. Descendants unknown. 26 vi. Maria Barbara A Hafner. Born 23 Dec 1815 in Merzig, Saarland, Germany; death date and place unknown. RN=2594. Descendants unknown. 17. Johann Baptist B Helbron I. (Christian Johann C, Johann Peter D, Johann Grandil E). Born 18 Nov 1777 in Hilbringen, Saarland, Germany; died there 4 May 1847. RN=32. Occupation: Farmer. + 27 i. Johann Baptist A Helbron II. RN=16. + 28 ii. Anna A Helbron. RN=672. + 29 iii. Anna Maria A Helbron. RN=673. + 30 iv. Franz A Helbron. RN=674. + 31 v. Johann Michel A Helbron. RN=675. + 32 vi. Margarethe A Helbron. RN=676. + 33 vii. Jacob A Helbron. RN=677. 34 viii. Katherine Eva A Helbron. Born 25 Nov 1824 in Hilbringen, Saarland, Germany; died there 3 Dec 1825. RN=678. Single; no children. 19. Anna Maria B Helbron. (Christian Johann C, Johann Peter D, Johann Grandil E). Born 30 Jan 1783 in Hilbringen, Saarland, Germany; died 9 Jan 1863 in Merzig, Saarland, Germany. RN=706. 35 i. Catharina A Hartfuss. Born 8 Jan 1810 in Merzig, Saarland, Germany; died there 16 Nov 1879. RN=2654. Descendants unknown. 36 ii. Johann A Hartfuss. Born 6 Mar 1812 in Merzig, Saarland, Germany; died in 1883, place unknown. RN=2655. Descendants unknown. 37 iii. Johanna A Hartfuss. Born 1 Apr 1814 in Merzig, Saarland, Germany; death date and place unknown. RN=2656. Married Mathias Hoffmann, date and place unknown. RN=9124. Descendants unknown. 38 iv. Johann Peter A Hartfuss. Born 2 Jun 1816 in Merzig, Saarland, Germany; died there 3 Feb 1820. RN=2657. Single; no children. 39 v. Elisabeth A Hartfuss. Born 28 Nov 1818 in Merzig, Saarland, Germany; died there 19 Apr 1858. RN=2658. Descendants unknown. 40 vi. Peter A Hartfuss. Born 13 Apr 1821 in Merzig, Saarland, Germany; death date and place unknown. RN=1406. Married Maria Weiten, daughter of Peter Weiten and Maria Hartenstein, on 24 Oct 1857 in Besseringen, Saarland, Germany. RN=1407. She was born 22 Sep 1836 in Hilbringen, Saarland, Germany; death date and place unknown. Descendants unknown. 41 vii. Nikolaus A Hartfuss. Born 4 May 1823 in Merzig, Saarland, Germany; death date and place unknown. RN=2659. Descendants unknown. + 42 viii. Heinrich A Hartfuss. RN=2660. 21. Catherina A Hafner. (Maria Benedikta Helbron Hafner B, Christian Johann C, Johann Peter D, Johann Grandil E). Born 1 Apr 1796 in Merzig, Saarland, Germany; died there 25 Nov 1858. RN=2447. 43 i. Katharina 1 Schreiner. Born 13 Oct 1814 in Merzig, Saarland, Germany; death date and place unknown. RN=10778. Married Peter Beining on 18 Jan 1840, place unknown. RN=10779. Descendants unknown. 44 ii. Nikolaus 1 Schreiner, II. Born 4 Jan 1816 in Merzig, Saarland, Germany; died there 23 Jul 1816. RN=10780. Single; no children. 45 iii. Johann Baptist 1 Schreiner. Born 18 May 1817 in Merzig, Saarland, Germany; death date and place unknown. RN=10781. Descendants unknown. 46 iv. Maria 1 Schreiner. Born 27 Sep 1819 in Merzig, Saarland, Germany; died there 23 Mar 1821. RN=10782. Single; no children. 47 v. Peter 1 Schreiner. Born 19 Jan 1822 in Merzig, Saarland, Germany; death date and place unknown. RN=10783. Descendants unknown. 48 vi. Johann 1 Schreiner. Born 26 Jan 1825 in Merzig, Saarland, Germany; death date and place unknown. RN=10784. Descendants unknown. 49 vii. Margaretha 1 Schreiner. Born 28 Oct 1827 in Merzig, Saarland, Germany; death date and place unknown. RN=10785. Descendants unknown. 50 viii. Anne Elisabeth 1 Schreiner. Born 12 Dec 1830 in Merzig, Saarland, Germany; death date and place unknown. RN=10786. Married Johann Collet on 4 Dec 1851 in Merzig, Saarland, Germany. RN=10787. He was born 29 Oct 1828, place unknown; death date and place unknown. Descendants unknown. 51 ix. Michael 1 Schreiner. Born 18 Apr 1834 in Merzig, Saarland, Germany; died there 22 Apr 1834. RN=10788. Single; no children. 27. Johann Baptist A Helbron II. (Johann Baptist I B, Christian Johann C, Johann Peter D, Johann Grandil E). Born 2 Dec 1809, Hilbringen, Saarland, Germany; died 10 Aug 1873 in Biringen, Saarland, Germany. RN=16. Occupation: Grocer (Spezereikr¨mer). + 53 ii. Peter 1 Helbron. RN=773. + 54 iv. Johann Rudolph 1 Helbron. RN=8. 28. Anna A Helbron. (Johann Baptist B I, Christian Johann C, Johann Peter D, Johann Grandil E). Born 18 Mar 1811 in Hilbringen, Saarland, Germany; died there 1 Feb 1879. RN=672. 55 i. Jacob 1 Kerber. Born 16 Jan 1832 in Hilbringen, Saarland, Germany; death date and place unknown. RN=728. Married Angelika Dillinger on 10 May 1864 in Ittersdorf, Saarland, Germany. RN=13154. Descendants unknown. 56 ii. Peter 1 Kerber. Born 14 Oct 1833 in Hilbringen, Saarland, Germany; death date and place unknown. RN=2744. Married Maria Leick on 19 Jan 1864 in Hilbringen, Saarland, Germany. RN=13155. She was born 10 Apr 1842 in Borg, Saarland, Germany; died 7 May 1866 in Rech, Saarland, Germany. Descendants unknown. 57 iii. Johann Baptist 1 Kerber. Born 29 Mar 1835 in Ballern, Saarland, Germany; death date and place unknown. RN=2756. Married Barbara Nigon on 13 Jun 1872 in Ayl, Rheinland-Pfalz, Germany. RN=13156. She was born 26 Jun 1848 in Rech, Saarland, Germany; death date and place unknown. Descendants unknown. 58 iv. Margarethe 1 Kerber. Born 29 Nov 1836 in Ballern, Saarland, Germany; death date and place unknown. RN=2757. Married Johann Hoffmann on 19 May 1863 in Hilbringen, Saarland, Germany. RN=13157. He was born in Mondorf, Saarland, Germany, date unknown; death and place unknown. Descendants unknown. 59 v. Franz 1 Kerber. Born 5 Mar 1839 in Ballern, Saarland, Germany; death date and place unknown. RN=1279. Married Elisabeth Orth on 5 May 1870 in Merzig, Saarland, Germany. RN=13158. She was born 20 Jul 1845 in Merzig, Saarland, Germany; death date and place unknown. Descendants unknown. 60 vi. Anna Maria 1 Kerber. Born 23 Aug 1841 in Ballern, Saarland, Germany; death date and place unknown. RN=1280. Married Nikolaus Reinert on 6 Feb 1865 in Ayl, Saarland, Germany. RN=13159. He was born 28 Feb 1825 in Biebelhausen, Rheinland-Pfalz, Germany; died there 1 Dec 1893. Descendants unknown. 61 vii. Maria 1 Kerber. Born 3 Sep 1844 in Ballern, Saarland, Germany; died there 14 Sep 1849. RN=2755. Single; no children. 29. Anna Maria A Helbron. (Johann Baptist B I, Christian Johann C, Johann Peter D, Johann Grandil E). Born 1 Jun 1813 in Hilbringen, Saarland, Germany; died 16 Dec 1885 in Mechern, Saarland, Germany. RN=673. + 62 i. Maria 1 Sellen. RN=1394. 63 ii. Michael 1 Sellen. Born 22 Jul 1840 in Mechern, Saarland, Germany; died there 17 Dec 1893. RN=1395. Married Maria Pesé on 17 Nov 1866 in Hilbringen, Saarland, Germany. RN=2762. She was born 5 Apr 1846 in Hilbringen, Saarland, Germany; death date and place unknown. Descendants unknown. 64 iii. Magdelena 1 Sellen. Born 26 Feb 1843 in Mechern, Saarland, Germany; death date unknown. RN=2758. Married Michael Adams on 13 May 1864 in Trier, Rheinland-Pfalz, Germany. RN=12305. He was born in Serrig, Rheinland-Pfalz, Germany, date unknown; death date and place unknown. Descendants unknown. 65 iv. Anna 1 Sellen. Born 16 May 1845 in Mechern, Saarland, Germany; death date unknown. RN=2759. Married Peter Gill on 10 Feb 1866 in Hibringen, Saarland, Germany. RN=12306. He was born 9 Jan 1836 in Hilbringen, Saarland, Germany; death date and place unknown. Descendants unknown. 66 v. Catharina 1 Sellen. Born 21 Aug 1848 in Mechern, Saarland, Germany; death date unknown. RN=2760. Married Peter Siebenborn on 14 Nov 1873 in Trier, Rheinland-Pfalz, Germany. RN=12307. He was born 24 Jan 1847 in Mechern, Saarland, Germany; death date and place unknown. Descendants unknown. 67 vi. Anna 1 Sellen. Born 5 Sep 1850 in Mechern, Saarland, Germany; death date unknown. RN=2761. Married Peter Siebenborn on 12 Jan 1875 in Hilbringen, Saarland, Germany. He was born in Oberesch, Saarland, Germany, date unknown; death date and place unknown. RN=12308. [NOTE: Despite the same name, this was a different person from RN=12307 since records indicate that they were born in different places.] Descendants unknown. 30. Franz A Helbron. (Johann Baptist I B, Christian Johann C, Johann Peter D, Johann Grandil E). Born 3 Jan 1815 in Hilbringen, Saarland, Germany; died 2 May 1890 in Schwemlingen, Saarland, Germany. RN=674. Occupation: Farmer. 68 i. Jacob 1 Helbron. Born 29 Dec 1840 in Schwemlingen, Saarland, Germany; death date unknown. RN=679. Descendants unknown. 69 ii. Margarethe 1 Helbron. Born 11 Aug 1843 in Schwemlingen, Saarland, Germany; died 18 Jul 1914 in Mettlach, Saarland, Germany. RN=680. Married Ferdinand Adolph Hopp, a widower, on 8 Dec 1862 in Merzig, Saarland, Germany. RN=812. He was born ca 1825, place unknown; died 23 Jun 1892 in Merzig, Saarland, Germany. [NOTE: He was previously married to Cecelia Henrietta de Moritz (de Maurice). RN=2600.] Descendants unknown. 70 iii. Johann Philip 1 Helbron. Born 7 Dec 1845 in Schwemlingen, Saarland, Germany; death date unknown. RN=740. Descendants unknown. 71 iv. Maria 1 Helbron. Born 14 Sep 1850 in Schwemlingen, Germany; death date and place unknown. RN=741. Married Franz Basenach, son of Johann Basenach and Anna Maria Lucas, on 1 May 1872 in Mettlach, Saarland, Germany. Franz was born on 20 Mar 1843 in Mediolacn (Latin name for Mettlach), Saarland, Germany; died 24 Mar 1875 in Brotdorf, Saarland, Germany. RN=1004. Descendants unknown. 72 v. Anna Maria 1 Helbron. Born 21 Sep 1852 in Schemlingen, Saarland, Germany; death date and place unknown. RN=10121. Married Nicolas Mohr on 14 Jan 1889 in Brotdorf, Rheinland-Pfalz, Germany. RN=13276. Descendants unknown. 73 vi. Anna 1 Helbron. Born 21 Dec 1855 in Schwemlingen, Saarland, Germany; death date and place unknown. RN=994. Married Johann Mathias Czecholinski on 14 Oct 1880 in Schwemlingen, Saarland, Germany. Johann was born in Cochem, Rheinland-Pfalz, Germany, date unknown; death date and place unknown. RN=1005. Descendants unknown. 31. Johann Michel A Helbron. (Johann Baptist I B, Christian Johann C, Johann Peter D, Johann Grandil E). Born 16 Jul 1816 in Hilbringen, Saarland, Germany; died there on 18 Apr 1886. RN=675. Occupation: Farmer. + 74 i. Magdelena 1 Helbron. RN=817. + 75 ii. Michel 1 Helbron. RN=816. + 76 iii. Jacob 1 Helbron.RN=818. 77 iv. Peter August 1 Helbron. Born 17 Sep 1870 in Hilbringen, Saarland, Germany; death date and place unknown. RN=819. [NOTE 2: Known to have attended a seminar in Koblenz, Rheinland-Pfalz, Germany ca 1912.] Descendants unknown. 32. Margarethe A Helbron. (Johann Baptist B Helbron I, Christian Johann C, Johann Peter D, Johann Grandil E). Born 7 Dec 1818 in Hilbringen, Saarland, Germany; died 20 May 1880, place unknown. RN=676. 78 i. Margaretha 1 Dezes. Born 14 Oct 1844 in Bettingen, Saarland, Germany; death date and place unknown. RN=13231. Descendants unknown. 79 ii. Anna Maria 1 Dezes. Born 17 Jun 1846 in Bettingen, Saarland, Germany; death date and place unknown. RN=13232. Descendants unknown. 80 iii. Eva 1 Dezes. Born 29 Aug 1848 in Bettingen, Saarland, Germany; death date and place unknown. RN=13233. Descendants unknown. 81 iv. Margaretha 1 Dezes. Born 6 Oct 1850 in Bettingen, Saarland, Germany; death date and place unknown. RN=13234. Descendants unknown. 82 v. Joseph 1 Dezes. Born 23 Feb 1852 in Bettingen, Saarland, Germany; death date and place unknown. RN=13235. Descendants unknown. 83 vi. Maria 1 Dezes. Born 8 May 1854 in Bettingen, Saarland, Germany; death date and place unknown. RN=13236. Descendants unknown. 84 vii. Anna 1 Dezes. Born 10 Aug 1856 in Bettingen, Saarland, Germany; death date and place unknown. RN=13237. Descendants unknown. 85 viii. Johann 1 Dezes. Born 29 Apr 1859 in Bettingen, Saarland, Germany; death date and place unknown. RN=13238. Descendants unknown. 86 ix. Ludwig 1 Dezes. Born 26 Sep 1861 in Bettingen, Saarland, Germany; death date and place unknown. RN=13239. Descendants unknown. 33. Jacob A Helbron I. (Johann Baptist I B, Christian Johann C, Johann Peter D, Johann Grandil E). Born 7 Jan 1820 in Hilbringen, Saarland, Germany; died there 18 Dec 1894. RN=677. 87 i. Jakob 1 Helbron II. Born 29 Apr 1850 in Hilbringen, Saarland, Germany; death date and place unknown. RN=681. Descendants unknown. 42. Heinrich "Henry" A(1) Hartfuss. (Anna Maria B Helbron Hartfuss, Christian Johann C, Johann Peter D, Johann Grandil E). Born 5 Apr 1825 in Merzig, Saarland, Germany; died 20 Jan 1892 in Perkinsville, Steuben Co., NY. RN=2660. He immigrated to the U.S. aboard the Walpole, arriving in New York (Castle Garden) on 20 Jul 1846 from Harve, France. 1860, 1865 State Census, 1870, 1875 State Census, 1880 Censuses, Steuben Co., NY. 88 i. Peter 2 Hartfuss. Born 1853, probably in Steuben Co., NY; died 1881 in Perkinsville, Steuben Co., NY. RN=9720. Buried at Sacred Heart Cemetery, Perkinsville, Steuben Co., NY. Single; no children. + 89 ii. Nicholas 2 Hartfuss. RN=6825. + 90 i. Dr. med. Karl-Otto Josef 2 Helbron. RN=775. + 91 ii. Dr. med. Jacob Josef Rudolf 2 Helbron. RN=777. 92 iii. Peter Rudolph 2 Helbron. Born 4 Jun 1874 in Dormagen, Westfalen, Germany; died there 17 Sep 1874. RN=776. Single; no children. 54. Johann Rudolph 1 Helbron. (Johann Baptist II A, Johann Baptist I B, Christian Johann C, Johann Peter D, Johann Grandil E). Born 8 Mar 1842 in Biringen, Saarland, Germany; died 12 Jun 1912 in Shoal Creek, Logan Co., AR. RN=8. Arrived initially in New York (Castle Garden) from Hamburg, Germany on 22 Jun 1868 aboard the Holsatia. 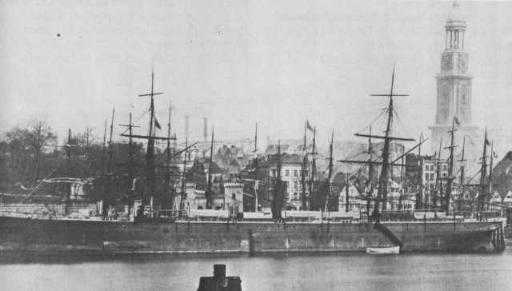 He returned to Germany, apparently to deal with the estate of his older brother who died in 1873, and arrived a second time in New York (Castle Garden) aboard the Thuringia on 19 Mar 1874 from Hamburg, Germany. Occupations: Cigarmaker, innkeeper, farmer. [NOTE 1: Listed in 1874 St. Louis City Directory as "Cigarmaker".] 1880 Census, St. Clair County, IL (Marissa). Moved to Logan County, AR about 1883. 1900 Census, Logan County, AR (Clark Twp). 1910 Census, Logan County, AR (Shoal Creek Twp). 93 i. Amalia Barbara 2 Helbron. Born 28 Aug 1873 in St. Louis, St. Louis Co., MO; died 1 Aug 1908 in Shoal Creek, Logan Co., AR. RN=596. Occupation: Housekeeper. 1880 Census, St. Clair County, IL (Marissa). 1900 Census, Logan County, AR (Shoal Creek Twp). Buried at St. Scholastica Cemetery, New Blaine, Logan Co., AR. Single, no children. 94 ii. Maria Katharina 2 Helbron. Born ca 1875 in St. Louis, St. Louis Co., MO; died there 12 Aug 1876. RN=597. Burial location unknown. Single; no children. 95 iii. Bertha 2 Helbron. Born 17 Sep 1877, probably in St. Louis, St. Louis Co., MO; died 17 Aug 1903 in Shoal Creek, Logan Co., AR. RN=598. Occupation: Housekeeper. 1880 Census, St. Clair County, IL (Marissa). 1900 Census, Logan County, AR (Shoal Creek Twp). She is buried at St. Scholastica Cemetery, New Blaine, Logan Co., AR. Single, no children. 96 iv. Margaretta Gertrud 2 Helbron. Born 14 Jan 1880 in Marissa, St. Clair Co., IL; died 9 Nov 1881 in St. Louis, St. Louis Co., MO. RN=599. [NOTE 2: Presumed to have been buried in either Marissa, St. Clair Co., IL or St. Louis, but no gravesite in either place has ever been located.] Single; no children. + 97 v. John Jacob "Jake" 2 Helbron. RN=4. + 98 vi. Rudolph "Ralph" George 2 Helbron. RN=600. + 99 vii. Mathias Joseph 2 Helbron. RN=602. + 100 viii. Marie Catherine 2 Helbron. RN=601. + 101 i. Philipp 2 Kieffer. RN=12196. 102 i. Michael Heinrich 2 Martin. Born 1 Jan 1871 in Mettlach, Saarland, Germany; died there 24 Oct 1901. RN=2765. Descendants unknown. 103 ii. Maria 2 Martin. Born 27 Feb 1872 in Mettlach, Saarland, Germany; died there 1 Apr 1872. RN=2766. Single; no children. 104 iii. Michael August 2 Martin. Born 10 Jan 1874 in Mettlach, Saarland, Germany; died 11 Mar 1963 in Saarlouis, Saarland, Germany. RN=2767. Descendants unknown. 105 iv. Maria Magdelena 2 Martin. Born 17 Jan 1878 in Mettlach, Saarland, Germany; died 11 Oct 1946 in Sinzig, Rheinland-Pfalz, Germany. RN=2768. Married Josef Anton Moritz on 3 Oct 1911 in Mettlach, Saarland, Germany. RN=13510.He was born 11 Jul 1884 in Köln, Nordrhein-Westfalen, Germany; death date and place unknown. Descendants unknown. 106 v. Johann Baptist Josef 2 Martin. Born 15 Oct 1882 in Mettlach, Saarland, Germany; death date and place unknown. RN=2769. Descendants unknown. 107 i. Anne Marie 2 Helbron. Born 22 Oct 1879 in Waldwisse, Moselle, France; death date and place unknown. RN=823. Descendants unknown. 108 iii. Michel Helbron. Born 24 Apr 1882 in Waldwisse, Moselle, France; died there 25 Jan 1883. RN=4044. Single; no children. 109 iii. Maria Louise Josephine 2 Helbron. Born 11 Aug 1884 in Waldwisse, Moselle, France; died there in 1960. RN=821. She is interred in the Helbron Crypt at the Ste. Catherine Church Cemetery, Waldwisse, Moselle, France. Single; no children. 110 iv. Jacob Alfred 2 Helbron. Born 8 Oct 1887 in Waldwisse, Moselle, France; died there in 1982. RN=824. Married Yvette Houlé; date unknown. RN=825. Yvette was born 1898 in Waldwisse; died there in 1966. Both Alfred and Yvette are interred in the Helbron Crypt at the Ste. Catherine Church Cemetery, Waldwisse, Moselle, France. Descendants unknown. 111 v. Joseph Heinrich 2 Helbron. Born 27 Apr 1894 in Waldwisse, Moselle, France; killed in the Ardennes, Belgium/France during WWI on 19 Oct 1917. RN=822. He is interred in the Helbron Crypt at the Ste. Catherine Church Cemetery, Waldwisse, Moselle, France. Single; no children. 112 vi. Elisabeth Josephine Helbron. Born 1 Mar 1897 in Waldwisse, Moselle, France; died there 19 Nov 1897. RN=4045. Single; no children. + 113 i. Peter August 2 Helbron. RN=829. 114 ii. Anna Maria Aloys 2 Helbron. Born 2 Jul 1895 in Waldwisse, Moselle, France; died 21 Sep 1978, probably in Waldwisse, Moselle, France. RN=828. Descendants unknown. 89. Nicholas 2 Hartfuss. (Heinrich "Henry" A, Anna Maria B Helbron Hartfuss, Christian Johann C, Johann Peter D, Johann Grandil E). Born Mar 1856, probably in Steuben Co., NY; died 1928 in Wayland, Steuben Co., NY. RN=6825. 1860, 1865 State, 1870, 1875 State, 1880, 1892 State, 1900, 1905 State, 1910, 1920 Censuses, Steuben Co., NY. + 115 i. Margaret "Maggie" 3 Hartfuss. RN=6827. + 116 ii. Katherine "Katie" A.3 Hartfuss.RN=6828. 117 iii. Mary 3 Hartfuss. Born Aug 1889 in Wayland, Steuben Co., NY; died there in 1944. RN=6829. Buried at St. Joseph's Old Cemetery, Wayland, Steuben Co., NY. Single; no children. + 118 iv. Anna J.3 Hartfuss. RN=6830. 119 v. Veronica K.3 Hartfuss. Born Jan 1892 in Wayland, Steuben Co., NY; died there in 1973. RN=6831. Married Ralph Daniel Keenan on 23 May 1922 in Steuben Co., NY. RN=6833. He was born Sep 1895 in NY, likely in Allegany County; died 2 Dec 1927 in Steuben Co., NY. Both Veronica and Ralph are buried at St. Joseph's Old Cemetery, Wayland, Steuben Co., NY. No known children. 120 vi. Lillian 3 Hartfuss. Born 27 May 1896 in Wayland, Steuben Co., NY; died there Jun 1975. RN=6832. Buried at St. Joseph's Old Cemetery, Wayland, Steuben Co., NY. Single; no children. 121 i. Hans Peter 3 Helbron. Born 1906 in Germany; died there 1920, but exact place unknown. RN=779. Single; no children. 122 ii. Rudolf Hermann 3 Helbron. Born 2 Apr 1911 in Germany; died 1996 in Berlin, Germany. RN=780. Occupation: Lawyer&notary (Rechtsanwalt und Notar). Married Elisabeth Metzner, date and place unknown. RN=2598. Birth date and place unknown; died between 1973-4 in Berlin, Germany. No children. 123 i. Rolf-Heinrich 3Helbron. Born 5 Jun 1907 in Bremen, Germany; killed during World War II on 9 Jun 1940 in either France or Belgium; buried at the German cemetery at Noyers-Pont-Maugis, Ardennes, France (near Beaumont, Belgium) RN=781. Occupation: County Court Attorney (Amtsgerichtsrat). Married Malene Werbe ca 1939 in Bremen, Germany. RN=782. Birth and death dates/places unknown. No children. 124 ii. Dr. med. Karl-Otto 3 Helbron. Born 5 Dec 1909 in Bremen, Germany; died there 19 May 1973. RN=783. Occupation: Ophthalmologist. Married Anneliese Ebert on 14 Sep 1936 in Bremen, Germany. RN=784. Her birth date and place are unknown; died in 1990 in Bremen, Germany. No children. + 125 iii. Dr. phil. Hans 3 Helbron. RN=786. 126 iv. Wolfgang 3 Helbron. Born 12 Jul 1916 in Bremen, Germany; died there 25 Mar 1982. RN=785. Occupation: Merchant. [NOTE: Served as a Captain in the German Army during WWII and was highly decorated.] Single; no children. 97. John Jacob "Jake" 2 Helbron. (Johann Rudolph 1, Johann Baptist II A, Johann Baptist I B, Christian Johann C, Johann Peter D, Johann Grandil E). Born 26 Feb 1882 in St. Louis, St. Louis Co., MO; died 19 Dec 1945 in Little Rock, Pulaski Co., AR. RN=4. [NOTE: Moved to Little Rock, Pulaski Co., AR ca 1923. His occupations included farmer, butcher, and general contractor.] 1880 Census, St. Clair County, IL, 1900, 1910 Censuses, Logan County, AR, 1920 Census, Johnson Co., AR, 1930, 1940 Censuses, Pulaski Co., AR. + 127 i. John Rudolph 3 Helbron. RN=2. 128 ii. Leonard Mathias 3 Helbron. Born 19 Oct 1911 in Shoal Creek, Logan Co., AR; died 12 Mar 1913 in Hartman, Johnson Co., AR. RN=575. Buried at Sacred Heart Cemetery, Hartman, Johnson Co., AR. Single, no children. 98. Rudolph "Ralph" George 2 Helbron. (Johann Rudolph 1, Johann Baptist II A, Johann Baptist I B, Christian Johann C, Johann Peter D, Johann Grandil E). Born 1 Jun 1884 in Shoal Creek, Logan Co., AR; killed in an automobile accident on 21 Aug 1927 near Frankfort, Clinton Co., IN. RN=600. Occupation: Bond dealer. 1900 Census, Logan Co., AR, 1910 Census, Sebastian Co., AR, 1920 Census, Pulaski Co., AR. [NOTE 1: He was actually counted twice in the 1900 Census, Logan County, AR (Shoal Creek Twp and Clark Twp).] [NOTE 2: He was killed in an automobile accident while on his way to his wedding in Crown Point, Clinton Co., IN to Miss Ann Cohee of Louisville, Jefferson Co., KY. No RN.] Buried at St. Scholastica Cemetery, New Blaine, Logan Co., AR. + 129 i. Marguerite "Marge" Alvena 3 Helbron. RN=748. + 130 ii. Rudolph Frederick 3 Helbron. RN=747. 99. Mathias "Matt" Joseph 2 Helbron. (Johann Rudolph 1, Johann Baptist II A, Johann Baptist I B, Christian Johann C, Johann Peter D, Johann Grandil E). Born 14 May 1890 in Shoal Creek, Logan Co., AR; died 20 Jan 1989 in Ontario, San Bernadino Co., CA. RN=602. Twin of RN=601. [NOTE 1: He moved for a while to Southern California in the 1920's as therapy for tuberculosis.] 1900, 1910, 1930, 1940 Censuses, Logan Co., AR (Shoal Creek Twp). Cremated; interred at Holy Cross Cemetery, Pomona, Los Angeles Co., CA. Married (1) Caroline Verkamp, daughter of Herman J. Verkamp and Catherine F. Aufort, in Sep 1938 at Charleston, Logan Co., AR. Caroline was born 15 Apr 1897 in Newton Co., MO; died 19 Mar 1946 in Paris, Logan Co., AR. RN=758. Buried at St. Scholastica's Cemetery, New Blaine, Logan Co., AR. 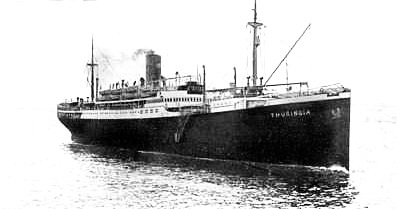 131 i. Bertha Marie 3 Helbron. Born 11 Jun 1939 in Shoal Creek, Logan Co., AR; living. RN=760. Married Terry Eugene Mason, Sr. on 4 Dec 1971 in Los Angeles, Los Angeles Co., CA. RN=761. He was born 30 Jul 1933 in Flagstaff, Coconino Co., AZ; died 1 May 1988 in Orange Co., CA. [NOTE 2: He had been married previously to Nikki L. Mandes (No RN) on 5 Jan 1961 in Los Angeles; divorced in Mar 1971; known to have had two boys by Nikki.] He is buried at Rose Hills Memorial Park, Whittier, Los Angeles Co., CA. No known children by Bertha. Married (2) Margaret Marie (née Meacham) Gambel at St. Scholastica's Church, Shoal Creek, Logan Co., AR on 23 Jul 1948. Margaret was born 25 Jan 1906 in Tulsa, Tulsa Co., OK; died 7 Jan 1978 in Monterey Park, Los Angeles Co., CA. RN=759. Buried at Resurrection Cemetery, Monterey Park, Los Angeles Co., CA. No children. 100. Marie Catherine 2 Helbron. (Johann Rudolph 1, Johann Baptist II A, Johann Baptist I B, Christian Johann C, Johann Peter D, Johann Grandil E). Born 14 May 1890 in Shoal Creek, Logan Co., AR; died 6 Jul 1975 in North Little Rock, Pulaski Co., AR. RN=601. Twin of RN=602. 1900, 1910, 1920, 1930, 1940 Censuses, Logan County, AR (Shoal Creek Twp). + 132 i. Margaret 3 Schmidt. RN=763. 133 ii. Joseph William 3 Schmidt, Jr. Born 17 Oct 1912 in Shoal Creek, Logan Co., AR; died 24 May 1980 in North Little Rock, Pulaski Co., AR. RN=764. [NOTE 1: Served as a Pfc in the Army during WWII.] Buried at Little Rock National Cemetery, Little Rock, Pulaski Co., AR. Descendants, if any, unknown. 134 iii. John Jacob 3 Schmidt. Born 13 Nov 1914 in Shoal Creek, Logan Co., AR; died 12 Nov 1944 in Little Rock, Pulaski Co., AR. RN=765. Buried at St. Scholastica's Cemetery, New Blaine, Logan Co., AR. Descendants, if any, unknown. + 135 iv. Gertrude M.3 Schmidt. RN=766. 136 v. Rudolph "Rudy" Matt 3 Schmidt. Born 12 Jul 1920 in New Blaine, Logan Co., AR; died 24 Feb 2002 in Sherwood, Pulaski Co., AR. RN=767. [NOTE 2: Served as a Pfc in the Army during WWII.] He is buried at Rest Hills Memorial Park, Sherwood, Pulaski Co., AR. Descendants, if any, unknown. 137 vi. Richard Henry 3 Schmidt. Born 13 Nov 1922 in Shoal Creek, Logan Co., AR; died 12 Nov 1994, place unknown. RN=768. Buried at St. Scholastica Cemetery, New Blaine, Logan Co., AR. Descendants unknown. 138 vii. Bernard Aloyious 3 Schmidt. Born 14 Sep 1925 in Shoal Creek, Logan Co., AR; died 5 Jul 1971, place unknown. RN=769. [NOTE 3: Served as a Pfc in the Army, Headquarters Co., 65th Infantry Division, during WWII.] Married Helen Marie Jacobson, date and place unknown. RN=14222. She was born 17 Oct 1915 in NE; died 6 Nov 1982 in Little Rock, Pulaski Co., AR. Both Bernard and Helen are buried at Little Rock National Cemetery, Pulaski Co., AR. Descendants unknown. 139 viii. Amelia Thersa 3 Schmidt. Born 24 Feb 1928 in Shoal Creek, Logan Co., AR; died 22 Sep 1995 in Little Rock, Pulaski Co., AR. RN=1808. Married Thomas Abraham Karam, Jr., date and place unknown. RN=2101. He was born 26 Jan 1921 in Lake Village, Chicot Co., AR; died 25 Aug 1985 in Little Rock, Pulaski Co., AR. [NOTE 4: He served in the Coast Guard during WWII.] Her burial location unknown; he is supposedly buried at Pinecrest Memorial Park, Alexander, Saline Co., AR, but not confirmed. Descendants unknown. + 140 ix. Rose Marie 3 Schmidt. RN=12435. 141 x. Mildred 3 Schmidt. Born post-1940 in Shoal Creek, Logan Co., AR; death date and place unknown. RN=770. [NOTE 5: She was not listed in the 1940 Census.] Descendants unknown. 142 i. Jacob 3 Kieffer. Born 12 Feb 1895 in Birginen, Saarland, Germany; death date and place unknown.RN=12198. Occupation: Catholic Priest. Single; no children. 143 ii. Catharina 3 Kieffer. Born 10 Jun 1907 in Birginen, Saarland, Germany; died 29 Apr 1968 in Oberesch, Saarland, Germany. RN=12199. Married Johann Dilschneider on 26 Oct 1935 in Oberesch, Saarland, Germany. RN=13001. He was born 1 Feb 1900 in Oberesch, Saarland, Germany;died there 19 Oct 1939. Descendants unknown. + 144 i. Monique 3 Helbron. RN=831. 115. Margaret "Maggie" 3 Hartfuss. (Nicholas 2, Heinrich "Henry" A, Anna Maria B Helbron Hartfuss, Christian Johann C, Johann Peter D, Johann Grandil E). Born Apr 1884 in Steuben Co., NY; died 17 Mar 1911 in Wayland, Steuben Co., NY. RN=6827. She is buried at St. Joseph Old Cemetery, Wayland, Steuben Co., NY. 145 i. Rosella A.4 Morsch. Born 5 Feb 1908 in Springwater, Livingston Co., NY; died 9 Jun 1990 in Monroe Co., NY. RN=13685. Married Austin W. Beaty, date and place unknown. RN=14461. Both Rosella and Austin are buried at Our Mother of Sorrows Cemetery, Greece, Monroe Co., NY. Descendants unknown. 146 ii. Eva F.4 Morsch. Born Apr 1909 in Livingston Co., NY; thought to have died pre-Jan 1920 in NY since she was not listed with the family in the 1920 Census. RN=13686. Burial location unknown. Single; no children. 116. Katherine "Katie" A.3 Hartfuss. (Nicholas 2, Heinrich "Henry" A, Anna Maria B Helbron Hartfuss, Christian Johann C, Johann Peter D, Johann Grandil E). Born 24 Jul 1886 in Wayland, Steuben Co., NY; died Oct 1972 in Perkinsville, Steuben Co., NY. RN=6828. 1900, 1910, 1920, 1930, 1940 Censuses, Steuben Co., NY. 147 i. Bernard F.4 Mark. Born 13 Jul 1917 in Wayland, Steuben Co., NY; died there 31 Dec 2004. RN=12634. He is buried at St. Joseph's Cemetery, Wayland, Steuben Co., NY. Descendants unknown. 148 ii. Mary J.4 Mark. Born 1930 in Steuben Co., NY; death date and place unknown. RN=12635. 118. Anna J.3 Hartfuss. (Nicholas 2, Heinrich "Henry" A, Anna Maria B Helbron Hartfuss, Christian Johann C, Johann Peter D, Johann Grandil E). Born Feb 1891 in Wayland, Steuben Co., NY; died 1963 in Steuben Co., NY. RN=6830. 1910, 1915 State, 1920 Censuses, Livingston Co., NY; 1930, 1940 Censuses, Steuben Co., NY. 149 i. Delores Catherine 4 Morsch. Born 23 Jun 1915 in Springwater, Livingston Co., NY; died Sep 1990, place unknown. RN=13688. Married Francis T. Mooney on 24 Aug 1946 in Hornell, Steuben Co., NY. RN=13693. He was born 1916, place unknown; died 1978 in Steuben Co., NY. Both Delores and Francis are buried at St. Mary's Cemetery, Fremont, Steuben Co., NY. Descendants unknown. 150 ii. Marian 4 Morsch. Born ca 1918 in Steuben Co., NY; presumed to have died pre-Jan 1930 in NY since she was not listed with the family in the 1930 Census. RN=13689. Burial location unknown. Single; no children. 151 iii. Loretta S.4 Morsch. Born 1921 in Steuben Co., NY; death date and place unknown. RN=13690. Descendants unknown. 152 iv. John R. 4 Morsch.>/b Born ca 1925 in Steuben Co., NY; death date and place unknown. RN=132691. Married Mary R. Hope on 8 Jul 1950 in Wayland, Steuben Co.,NY. RN=14773. Descendants unknown. 153 v. Jane T.4 Morsch. Born 14 Mar 1929 in Steuben Co., NY; living. RN=13692. [NOTE: Substantial evidence exists that she may have married a Paine (RN=13692), date and place unknown, but was living in Springwater, Livingston Co., NY in 1992 and was still living elsewhere in 1995.] Descendants unknown. 125. Dr. phil. Hans 3 Helbron. (Jacob Joseph 2, Peter 1, Johann Baptist II A, Johann Baptist I B, Christian Johann C, Johann Peter D, Johann Grandil E). Born 7 Sep 1911 in Bremen, Germany; died there 1 May 1988. RN=786. Occupation: High School Principal (Studiendirektor). + 154 i. Peter 4 Helbron. RN=788. 155 ii. Jean Michael 4 Helbron. Born 25 Jan 1950 in Bremen, Germany; living. RN=795. Occupation: Bank loan officer (retired). Single; no children. + 156 iii. Stefan 4 Helbron. RN=796. + 157 i. John William "Bill" 4 Helbron. RN=1. + 158 ii. Mary Nell 4 Helbron. RN=571. Married (2) Zita Marie (née DeClerk) Byrne, widow of Leo J. Byrne (1902-1976) (RN=2566), on 13 Jan 1980 in Little Rock, Pulaski Co., AR. RN=511. Zita was born 27 Jun 1905 in Pocohantas, Randolph Co., AR; died 26 Jun 1999 in Little Rock, Pulaski Co., AR. Both Zita and Leo are buried at Calvary Cemetery, Little Rock, Pulaski Co., AR. No children (by John). 129. Marguerite "Marge" Alvena 3 Helbron. (Rudolph George 2, Johann Rudolph 1, Johann Baptist II A, Johann Baptist I B, Christian Johann C, Johann Peter D, Johann Grandil E). Born 17 Oct 1908 in Ft. Smith, Sebastian Co., AR; died 13 Feb 1998 in Huntington Beach, Orange Co., CA. RN=748. 1910 Census, Sebastian Co., AR, 1920 Census, Pulaski Co., AR, 1930 Census, San Bernadino Co., CA, 1940 Census, Orange Co., CA. + 159 i. Joan Marguerite 4 Hobbs. RN=756. 130. Rudolph Frederick 3 "Billy" Helbron. (Rudolph George 2, Johann Rudolph 1, Johann Baptist II A, Johann Baptist I B, Christian Johann C, Johann Peter D, Johann Grandil E). Born 12 Feb 1912 in Fort Smith, Sebastian Co., AR; died 4 Sep 2000 in Redlands, San Bernadino Co., CA. RN=747. 1920 Census, Pulaski Co., AR, 1930, 1940 Censuses, San Bernadino Co., CA. + 160 i. William Ronald 4 Helbron, D.D.S. RN=749. 161 i. William "Billie" 4 Koenig. Born ca 1938 in AR; living. RN=13100. Descendants unknown. 135. Gertrude M.3 Schmidt. (Marie Helbron Schmidt 2, Johann Rudolph 1, Johann Baptist II A, Johann Baptist I B, Christian Johann C, Johann Peter D, Johann Grandil E). Born 2 Sep 1917 in Shoal Creek, Logan Co., AR; died 6 Aug 1998 in North Little Rock, Pulaski Co., AR. RN=766. 1920, 1930 Censuses, Logan Co., AR, 1940 Census, Pulaski Co., AR. 162 i. Frank John 4 Witkowski. Born 27 Jul 1939 in Little Rock, Pulaski Co., AR; died 11 Nov 2014. RN=10678. Married Meryl Lynn Greene, ca 1959, place unknown. RN=13684. She was born 12 Aug 1941 in White Co., AR; died 17 Apr 2016 in North Little Rock, 17 Aug 2016 in Pulaski Co., AR. Both Frank and Lynn are buried at Calvary Cemetery, Little Rock, Pulaski Co., AR. Descendants unknown. 140. Rose Marie 3 Schmidt. (Marie Helbron Schmidt 2, Johann Rudolph 1, Johann Baptist II A, Johann Baptist I B, Christian Johann C, Johann Peter D, Johann Grandil E). Born 15 Dec 1930 in Shoal Creek, Logan Co., AR; died 11 Apr 2014 in North Little Rock, Pulaski Co., AR. RN=771. 163 i. James 4 Stinson. Birth date and place unknown; living. RN=13099. Married Gail ?, date and place unknown. RN=14861. Birth date and place unknown; living. Descendants unknown. 164 i. Christian 4 Pitsch. Born in Waldwisse, Moselle, France, date unknown. RN=833. Married; last known to be living in Paris, France. Descendants unknown. 165 ii. Jean-Luc 4 Pitsch. RN=834. Born in Waldwisse, Moselle, France, date unknown. Single; last known in 1992 to be living in St. Jeoire, France, near Geneva, Switzerland. 166 iii. Marie Claire 4 Pitsch. Born in Waldwisse, Moselle, France, date unknown. RN=835. Married; no further information available. 154. Peter 4 Helbron. (Hans 3, Jacob Joseph 2, Peter 1, Johann Baptist II A, Johann Baptist I B, Christian Johann C, Johann Peter D, Johann Grandil E). Born 28 Nov 1945 in Bremen, Germany; living. RN=788. Occupation: Corporate Attorney (retired). + 167 i. Hanja 5 Helbron. RN=790. + 168 ii. Hendrike 5 Helbron, Ph.D. RN=791. + 169 iii. Marlena 5 Helbron. RN=792. 170 iv. (Son) 5 Helbron. Born (name and vital statistics withheld on request); living. RN=793. Married (name and vital statistics withheld on request); living. RN=12225. No children. 171 v. Dr. Kai-Torben 5 Helbron. Born 3 Aug 1984 in Kiel, Schleswig-Holstein, Germany; living. RN=794. Single; no children. 156. Stefan 4 Helbron. (Hans 3, Jacob Joseph 2, Peter 1, Johann Baptist II A, Johann Baptist I B, Christian Johann C, Johann Peter D, Johann Grandil E). Born 11 Jun 1957 in Bremen, Germany; living. RN=796. Occupation: Physicist. 172 i. Torsten 5 Helbron. Born 10 Sep 1992 in Bremen, Germany; living. RN=951. Single; no children. 173 ii. Svenja 5 Helbron. Born 18 Apr 1995 in Bremen, Germany; living. RN=2507. Single; no children. 157. John William "Bill" 4 Helbron. (John Rudolph 3, John Jacob 2, Johann Rudolph 1, Johann Baptist II A, Johann Baptist I B, Christian Johann C, Johann Peter D, Johann Grandil E). Born 2 Dec 1939 in Little Rock, Pulaski Co., AR; living. RN=1. Occupations: Naval Officer (retired in 1982 as Lieutenant Commander after 20 years of active and reserve service); physicist, project engineer (retired in 1997); author. 1940 Census, Pulaski Co., AR. 174 i. James Russell 5 Helbron. Born 12 Oct 1975 in Upland, San Bernadino Co., CA; living. RN=512. Single; no children. 158. Mary Nell 4 Helbron. (John Rudolph 3, John Jacob 2, Johann Rudolph 1, Johann Baptist II A, Johann Baptist I B, Christian Johann C, Johann Peter D, Johann Grandil E). Born 1 Jun 1943 in Little Rock, Pulaski Co., AR; died 3 Feb 2015 in Rogers, Benton Co., AR. Cremated. RN=571. Occupation: Restauranteur; secondary school teacher (retired). 175 i. Kimberly Ann 5 Kaylor. Born 27 Feb 1967 in Memphis, Shelby Co., TN; living. RN=573. Married (1) Marcus "Mark" Gayle Richardson on 28 Apr 1996 in Fayetteville, Washington Co., AR. RN=2436. Mark was born 11 Jul 1950 in Fayetteville, Washington Co., AR. Divorced. No children. Married (2) Christopher "Chris" Carnahan on 27 Aug 2008 in Rogers, Benton Co., AR. RN=8684. No children. 176 ii. Coy Clifton 5 Kaylor III. Born 6 Feb 1969 in Fayetteville, Washington Co., AR; living. RN=574. Married (1) Kim Romero on 30 Jun 2001 in Tontitown, Washington Co., AR. RN=4271. Divorced. No children. Married (2) Jay Jenine Morrison on 31 Dec 2008 in Bentonville, Benton Co., AR. RN=8956. No children. 159. Joan Marguerite 4 Hobbs. (Marguerite Helbron Hobbs 3, Rudolph George 2, Johann Rudolph 1, Johann Baptist II A, Johann Baptist I B, Christian Johann C, Johann Peter D, Johann Grandil E). Born 13 Mar 1936 in Fullerton, Orange Co., CA; living. RN=756. + 177 i. Jill Marie 5 Guthrie. RN=2433. + 178 ii. Gail Lee 5 Guthrie. RN=2434. 160. William Ronald 4 Helbron, D.D.S. (Rudolph Frederick 3, Rudolph George 2, Johann Rudolph 1, Johann Baptist II A, Johann Baptist I B, Christian Johann C, Johann Peter D, Johann Grandil E). Born 21 May 1938 in San Bernadino, San Bernadino Co., CA; living. RN=749. 1940 Census, San Bernadino Co., CA. Occupation: Dentist (retired). 179 i. Connie Dorae 5 Helbron. Born 1 Feb 1964 in Stuttgart, Baden Württemberg, Germany; died 26 Nov 1973 in Redlands, San Bernadino Co., CA. RN=750. Single; no children. 180 ii Karyn Michele 5 Helbron. Born 24 Jan 1966 in Redlands, San Bernadino Co., CA; living. RN=751. Married Valery Dimitry Kasvin on 31 May 1996 in Honolulu, O'ahu Co., HI. RN=2431. Valery was born 25 Jun 1964 in Moscow, Russia; living. Descendants unknown. + 181 iii. Kristine Alane 5 Helbron. RN=752. 167. Dr. Hanja 5 Helbron. (Peter 4, Hans 3, Jacob Joseph 2, Peter 1, Johann Baptist II A, Johann Baptist I B, Christian Johann C, Johann Peter D, Johann Grandil E). Born 23 Aug 1974 in Molfsee, Schleswig-Holstein, Germany; living. RN=790. Occupation: Judge (Amtsgericht). 182 i. Kaja 6 Stelljes. Born 25 Jul 2004 in Hamburg, Germany; living. RN=7886. Single; no children. 183 ii. Henneke 6 Stelljes. Born 11 Apr 2007 in Hamburg, Germany; living. RN=7887. Single; no children. 184 iii. Philine 6 Stelljes. Born 21 Feb 2010 in Hamburg, Germany; living. RN=10020. Single; no children. 168. Dr. Hendricke 5 Helbron. (Peter 4, Hans 3, Jacob Joseph 2, Peter 1, Johann Baptist II A, Johann Baptist I B, Christian Johann C, Johann Peter D, Johann Grandil E). Born 24 Feb 1976 in Kiel, Schleswig-Holstein, Germany; living. RN=791. 185 i. Tobias 6 Clouting. Born 18 Apr 2012 in The Hague, Netherlands; living. RN=10611. Single; no children. 186 ii. Daniel 6 Clouting. Born 25 Sep 2016 in The Hague, Netherlands; living. RN=13848. Single; no children. 169. Dr. Marlena 5 Helbron. (Peter 4, Hans 3, Jacob Joseph 2, Peter 1, Johann Baptist II A, Johann Baptist I B, Christian Johann C, Johann Peter D, Johann Grandil E). Born 21 Jan 1979 in Kiel, Schleswig-Holstein, Germany; living. RN=792. Occupation: Prosecuting attorney. 187 i. Julina 6 Hütte. Born 3 Jul 2009 in Kiel, Schleswig-Holstein, Germany; living. RN=10018. Single; no children. 188 ii. Helene 6 Hütte. Born 20 Feb 2012 in Schleswig-Holstein, Germany; living. RN=10610. Single; no children. 189 iii. Paul Jonte 6 Hütte. Born 30 Sep 2014 in Kiel, Schleswig-Holstein, Germany; living. RN=12866. Single; no children. 177. Jill Marie 5 Guthrie. (Joan Marguerite 4, Marguerite Alvena 3, Rudolph George 2, Johann Rudolph 1, Johann Baptist II A, Johann Baptist I B, Christian Johann C, Johann Peter D, Johann Grandil E). Born 26 Sep 1963 in Westminster, Orange Co., CA; living.RN=2433. 190 i. Jacob Scott 6 Fetherolf. Born 16 Dec 1994 in Mission Viejo, Orange Co., CA; living. RN=2438. Single; no children. 191 ii Sydnie Nicole 6 Fetherolf. Born 9 Apr 1996 in Mission Viejo, Orange Co., CA; living. RN=2439. Single; no children. 178. Gail Lee 5 Guthrie. (Joan Marguerite 4, Marguerite Alvena 3, Rudolph George 2, Johann Rudolph 1, Johann Baptist II A, Johann Baptist I B, Christian Johann C, Johann Peter D, Johann Grandil E). Born 21 Oct 1950 in Westminster, Orange Co., CA; living. RN=2434. 192 i. Brandon A.6 Hall. Born 23 Apr 1973 in Los Angeles Co., CA; living. RN=13240. Single; no children. 193 ii. Michael E.6 Hall. Born 4 Jan 1974 in Orange Co., CA; living. RN=13241. Single; no children. 194 iii. Erica L.6 Hall. Born 1 Aug 1977 in Los Angeles Co., CA; living. RN=13242. Single; no children. 195 iv. Genevieve Ann 6 Hall. Born 6 Nov 1979 in Orange Co., CA; living. RN=13243. Single; no children. 181. Kristine Alane 5 Helbron. (William Ronald 4, Rudolph Frederick 3, Rudolph George 2, Johann Rudolph 1, Johann Baptist II A, Johann Baptist I B, Christian Johann C, Johann Peter D, Johann Grandil E). Born 26 Sep 1963 in Westminster, Orange Co., CA. RN=752. 196 i. Hana Nijole 6 West. Born 14 Apr 1996 in Escondido, San Diego Co., CA; living. RN=2432. Single; no children. 197 ii. Anya Karin 6 West. Born 25 Oct 1999 in Sunnydale, Santa Clara Co., CA; living. RN=3955. Single; no children. The following individuals most likely have ties to the Hilbringen mainline Helbron families, but no known evidence currently exists to link them to any specific family. A special nomenclature using a "U" as a prefix is used to avoid any confusion with the connected families. Generations are approximate. U1. Johann Nikolaus D Helbron. (E). Birth date and place unknown but probably ca 1704; died 29 Jul 1790 in Hilbringen, Saarland, Germany. RN=2450. Occupation: notary (Notar), attorney (Prokurator), in 1747, Clerk of the Court (Gerichtsschreiber). U2 i. Peter August C Helbron. Born 3 Dec 1734 in Trier, Rheinland-Pfalz, Germany; death date and place unknown. RN=2452. Descendants unknown. U3 ii. Paul Jacob C Helbron. Born 29 Nov 1736 in Trier, Rheinland-Pfalz, Germany; death date and place unknown. RN=2453. Descendants unknown. U4 iii. Claudius Heinrich C Helbron. Born 18 Feb 1738 in Trier, Rheinland-Pfalz, Germany; died 20 Jun 1802, place unknown. RN=2454. Occupation: Franciscan priest. Single; no children. U5 iv. Johann Adam C Helbron. Born 15 Dec 1739 in Trier, Rheinland-Pfalz, Germany; died 18 Jul 1810 in Reimsbach, Saarland, Germany. RN=2455. Occupation: Carmelite priest; Pastor in Reimsbach from 1807-1810. Single; no children. U6 v. Johann Baptist C Helbron. Born ca 1740 in Hilbringen, Saarland, Germany; died there 22 Sep 1794. RN=2456. Descendants unknown. U7 vi. Maria Nicola C Helbron. Born 19 Sep 1741 in Trier, Rheinland-Pfalz, Germany; death date and place unknown.RN=2457. Descendants unknown. U8 vii. Johann Carl C Helbron. Born 28 Jan 1744 in Trier, Rheinland-Pfalz, Germany; death date and place unknown. RN=2458. Descendants unknown. + U9 i. Anna Maria C Helbron. RN=2460. U10 ii. Johann C Helbron. Born 10 Apr 1749 in Hilbringen, Saarland, Germany; death date and place unknown.RN=2461. Descendants unknown. U11 iii. Nikolaus C Helbron. Born 13 Jun 1751 in Hilbringen, Saarland, Germany; death date and place unknown.RN=2462. Descendants unknown. + U12 iv. Johann Nepomuk C Helbron. RN=2463. + U13 v. Maria Catharina C Helbron. RN=2464. + U14 vi. Maria Magdelena C Helbron. RN=2465. U15 vii. Johann Jacob C Helbron. Born 18 Feb 1758 in Hilbringen, Saarland, Germany; death date and place unknown. RN=2466. Descendants unknown. U16 viii. Johann Heinrich C Helbron. Born 12 Feb 1760 in Hilbringen, Saarland, Germany; death date and place unknown. RN=2467. Descendants unknown. U17 ix. Johanna Elisabeth C Helbron. Born 12 Aug 1762 in Hilbringen, Saarland, Germany; death date and place unknown. RN=2468. Twin of RN=2469. Descendants unknown. U18 x. Anna Juliana C Helbron. Born 12 Aug 1762 in Hilbringen, Saarland, Germany; death date and place unknown. RN=2469. Twin of RN=2468. Married Johann Jörg Jung on 10 Jan 1792 in Hilbringen, Saarland, Germany. RN=2505. Birth date and place unknown; died 5 May 1820 in Wallerfangen, Saarland, Germany. Descendants unknown. U19 xi. Anna Maria C Helbron. Born 28 Jul 1765 in Hilbringen, Saarland, Germany; death date and place unknown. RN=2470. Descendants unknown. U20 xii. Angela C Helbron. Born 8 Apr 1767 in Hilbringen, Saarland, Germany; death date and place unknown. RN=2471. Married Nikolaus Köhler on 3 May 1791 in Itzbach, Saarland, Germany. RN=2506. Descendants unknown. U?. Johann Mathias D Helbron. (E). Born ca 1712 in Hilbringen, Saarland, Germany; died 16 Aug 1790 in Hilbringen, Saarland, Germany. RN=729. Occupation: Notary (notar). U21 i. Franz Ludwig C Helbron. Born 30 Jun 1733 in Trier, Rheinland-Pfalz, Germany; death date and place unknown. RN=2591. Descendants unknown. U22 ii. Mathias B Helbron. Born 18 Oct 1736 in Hilbringen, Saarland, Germany; death date and place unknown. RN=2610. Descendants unknown. + U23 iii. Johann Baptist C Helbron. RN=1712. U24 iv. Rev. Peter C Helbron. Born 9 Jul 1739 in Hilbringen, Saarland, Germany; died 24 Apr 1816, Carlisle, Cumberland Co., PA. RN=1707. Occupation: Capuchin Priest. Missionary to the U.S.; arrived in Philadelphia, PA from Rotterdam on 17 Oct 1787 aboard the Dorothea. [NOTE 1:Ministered in Philadelphia, PA until 1799, then in Western Pennsylvania until his death.] 1790 Census, Berks County, Hereford Township, PA. 1800 Census, Westmoreland County, Union Township. 1810 Census, Westmoreland County, Unity Township. Buried near the sacristy at St. Patrick's Church in Carlisle, Cumberland Co., PA. Single; no children. U25 v. Margarethe C Helbron. Born 31 Aug 1742 in Hilbringen, Saarland, Germany; death date and place unknown. RN=2607. Descendants unknown. U26 vi. Rev. Carl Andreas C Helbron. Born 8 May 1746 in Hilbringen, Saarland, Germany; died 28 Nov 1793 in Bayonne, Pyrénées-Atlantique, France. RN=1708. Occupation: Capuchin Priest. Missionary to the U.S.; arrived in Philadelphia, PA from Rotterdam on 17 Oct 1787aboard the Dorothea. [NOTE 2:Ministered in Lancaster, PA and Philadelphia, PA until 1791 when he returned to Europe to obtain funds for his missionary church. He was pastor of a Church in Anglet, France (near Bayonne) at the time of the French Revolution; was guillotined for failure to close his church.] Single; no children. U27 vii. Anna Maria Catharina Barbara C Helbron. Born 14 Aug 1755 in Hilbringen, Saarland, Germany; death date and place unknown. RN=2608. Descendants unknown. U9. Anna Maria C Helbron. (Johann Nikolas D ). Born 17 Sep 1747 in Hilbringen Saarland, Germany; died there 27 Aug 1804. RN=2460. U28 i. Anna B Mackar. Born 23 Sep 1772 in Hilbringen, Saarland, Germany; death date and place unknown. RN=2475. Married Augustin Schmidt in 1800, place unknown. RN=13160. Descendants unknown. U29 ii. Theresia B Mackar. Born 31 Jul 1774 in Hilbringen, Saarland, Germany; died there 14 Aug 1774. RN=2476. Single; no children. U30 iii. Maria Katharina B Mackar. Born 17 Apr 1776 in Hilbringen, Saarland, Germany; died there 29 Jul 1794. RN=2477. Single; no children. U31 iv. Johannata B Mackar. Born 18 Oct 1778 in Hilbringen, Saarland, Germany; died there 7 Feb 1779. RN=2478. Single; no children. U32 v. Margaretha B Mackar. Born 22 Mar 1780 in Hilbringen, Saarland, Germany; death date and place unknown. RN=2479. Descendants unknown. U33 vi. Barbara B Mackar. Born 25 Oct 1781 in Hilbringen, Saarland, Germany; died there 25 Apr 1790. RN=2480. Twin of RN=2481. Single; no children. U34 vii. Juliana B Mackar. Born 25 Oct 1781 in Hilbringen, Saarland, Germany; died ther 20 Apr 1790. RN=2481. Twin of RN=2480. Single; no children. U35 viii. Johann Baptist B Mackar. Born 6 Mar 1785 in Hilbringen, Saarland, Germany; died there 29 Dec 1785. RN=2482. Single; no children. U36 ix. Margaretha B Mackar. Born 11 Feb 1787 in Hilbringen, Saarland, Germany; died there 11 Feb 1787. RN=2483. Single; no children. + U37 x. Angela B Mackar. Born 18 Feb 1788 in Hilbringen, Saarland, Germany; died between 1848-1850 in Union Grove, Racine Co., WI. RN=2484. Married Aegidus de Maurice on 15 Nov 1810 in Hilbringen, Saarland, Germany. RN=13161. He was born 5 Nov 1775 in Rehlingen, Saarland, Germany; died ca 1848 in Union Grove, Racine Co., WI. [NOTE: Per one source, he immigrated on 6 Mar 1847 but unable to confirm via any immigration or census records! There was an interesting coincidence of a "Maurice Helbrown", age 35, that immigrated aboard the Cambria, arriving in Boston from Liverpool on 27 Feb 1847 but no specific destination was listed & unable to locate name in the 1850 Census!] Descendants unknown. U38 xi. Anton B Mackar. Born 12 Jan 1792 in Hilbringen, Saarland, Germany; died there 24 Jun 1794. RN=2485. Single; no children. U12. Johann Nepomuk C Helbron. (Johann Nikolas D). Born 8 Feb 1753 in Hilbringen, Saarland, Germany; died there 20 Aug 1784. RN=2463. U39 i. Johann Baptist B Helbron. Born 20 Mar 1776 in Hilbringen, Saarland, Germany; death date and place unknown. RN=2489. Descendants unknown. U40 ii. Mathias Joseph Christof Aloys B Helbron. Born 9 Nov 1778 in Hilbringen, Saarland, Germany; died there 20 Nov 1778. RN=2490. Single; no children. U41 i. Nikolaus C Helbron. Born 20 Aug 1784 in Hilbringen, Saarland, Germany; died 18 Apr 1785 in Büdingen, Saarland, Germany. RN=2492. Single; no children. U13. Maria Catharina C Helbron. (Johann Nikolas D). Born 15 Nov 1754 in Hilbringen, Saarland, Germany; died there 4 Dec 1811. RN=2464. U42 i. Anna B Zenner. Born 6 Aug 1788 in Ballern, Saarland, Germany; died there 21 Apr 1815. RN=2498. Married Johann Peter Berger on 12 Jul 1814 in Ballern, Saarland, Germany. He was born 14 Mar 1785 in Brotdorf, Saarland, Germany; died 8 Dec 1862 in Ballern, Saarland, Germany. No children. U43 ii. Angela B Zenner. Born 11 Aug 1790 in Hilbringen, Saarland, Germany; death date and place unknown. RN=2499. Descendants unknown. + U44 iii. Anna Catherine B Zenner. RN=2500. + U45 iv. Peter B Zenner. RN=2501. U14. Maria Magdelena C Helbron. (Johann Nikolas D). Born 1 Apr 1756 in Hilbringen, Saarland, Germany; death date and place unknown. RN=2465. U46 i. Michael B Lejune. Born 25 Jan 1789 in Hilbringen, Saarland, Germany; died there 18 Apr 1860. RN=2503. Married (2) Jakob Jacobi on 21 May 1793 in Hilbringen, Saarland, Germany. RN=2504. Descendants unknown. U23. Johann Baptist C Helbron. (Johann Mathias D ). Born 15 Oct 1737, probably in Hilbringen, Saarland, Germany; died 1794, probably in Trier, Rheinland-Pfalz, Germany. RN=1712. U47 i. Mathias Joseph Christopher Aloysius A Helbron. Born 5 Mar 1779 in Trier, Rheinland-Pfalz, Germany; death date and place unknown. RN=2653. Descendants unknown. U48 ii. Johann Hugo Carl Franz George A Helbron. Born 27 Dec 1780 in Trier, Rheinland-Pfalz, Germany; death date and place unknown. RN=3958. Descendants unknown. + U49 iii. Carl Joseph Aloysius Mathias A Helbron. RN=1714. Married (2) Anna Maria Antonia Heydrich on 12 Sep 1789 in Trier, Rheinland-Pfalz, Germany. RN=3957. No known children. U37. Angela B Mackar. (Anna Maria Helbron Mackar C, Johann Nikolas D). Born 18 Feb 1788 in Hilbringen, Saarland, Germany; died between 1848-1850 in Union Grove, Racine Co., WI. RN=2484. U50 i. Anna Katharina A de Maurice. Born 2 Sep 1811 in Hilbringen, Saarland, Germany; died there 19 Mar 1813. RN=14922. Single; no children. U51 ii. Johann A de Maurice. Born 27 Jun 1813 in Hilbringen, Saarland, Germany; died 20 Oct 1870 in Fremersdorf, Saarland, Germany. RN=14923. Married Margarethe Siersdorfer on 18 Jan 1843 in Hilbringen, Saarland, Germany. She was born 11 Nov 1815 in Fremersdorf, Saarland, Germany. RN=14931. Descendants unknown. U52 iii. Maria Sibille A de Maurice. Born 24 May 1815 in Hilbringen, Saarland, Germany; died there 31 Aug 1846. RN=14924. Married Michael Fritz on 9 Jan 1838 in Hilbringen, Saarland, Germany. RN=14932. He was born 13 Sep 1814 in Rech, Saarland, Germany; died 1895 in Ashton, Osceola Co., IA. [NOTE 2: Following Maria's death in 1846, Michael married her younger sister, Maria Katharina (see U58 below.)] Descendants unknown. U53 iv. Margarethe A de Maurice. Born 23 May 1817 in Hilbringen, Saarland, Germany; death date and place unknown. RN=14925. Married (1) Franz Streit on 27 Oct 1840 in Hilbringen, Saarland, Germany. RN=14933. Descendants unknown. Burial location unknown. Married (2) Joseph Mueller on 3 Nov 1851 in Kenosha, Kenosha Co., WI. RN=14934. He was born ca 1815 in Germany; death date and place unknown. Burial locations unknown. Descendants unknown. U54 v. Johann Franz "Frank" A de Maurice. Born 24 Jan 1819 in Hilbringen, Saarland, Germany; died 5 Dec 1879 in Union Grove, Racine Co., WI. RN=14926. Married Catherine Gugenkauf, on 23 Feb 1852 in Kenosha, Kenosha Co., WI. RN=14935. She was born 14 Nov 1831 in Greiveldange, Canton de Remich, Luxembourg; died 30 Nov 1910 in Kenosha, Kenosha Co., WI. "Frank" is buried at Saint Francis Xavier Church Cemetery, Brighton, Racine Co., WI; Catherine is buried at Saint Georges Cemetery, Kenosha, Kenosha Co., WI. Descendants unknown. U55 vi. Peter Joseph A de Maurice. Born 1 Nov 1820 in Hilbringen, Saarland, Germany; died there 4 May 1829. RN=14927. Burial location unknown.Single; no children. U56 vii. Anna A de Maurice. Born 5 Feb 1823 in Hilbringen, Saarland, Germany; died there 24 Aug 1828. RN=14928. Burial location unknown.Single; no children. U57 viii. Phillip V. A de Maurice. Born 23 Jan 1825 in Hilbringen, Saarland, Germany; died 17 Oct 1912 in Yorkville, Racine Co., WI. RN=14929. Married Maria "Mary" Gugenkauf on 2 Jan 1855 in Racine, Racine Co., WI. RN=14936. She was born 13 Jul 1838 in Greivelange, Canton de Remich, Luxembourg; died 17 Nov 1918 in Yorkville, Racine Co., WI. Both Phillip and "Mary" are buried at Saint Johns Cemetery, Paris, Kenosha Co., WI. Descendants unknown. U58 ix.. Maria Katharina A de Maurice. Born 2 Mar 1827 in Hilbringen, Saarland, Germany; died 19 Sep 1858 in Yorkville, Racine Co., WI. RN=14930. Married Michael Fritz on 18 Mar 1847 in Hilbringen, Saarland, Germany. RN=14932. He was born 13 Sep 1814 in Rech, Saarland, Germany; died 1895 in Ashton, Osceola Co., IA. She is buried at Saint Francis Xavier Church Cemetery, Brighton, Kenosha Co., WI; he is buried at Saint Marys Cemetery, Ashton, Osceola Co., IA. Descendants unknown. U44. Anna Catherine B Zenner. (Maria Helbron Zenner C, Johann Nikolas D). Born 24 Feb 1794 (or 1796) in Hilbringen, Saarland, Germany; died 18 Apr 1884 in California, Campbell Co., KY. RN=2500. U59 i. Peter A Brausch. Born 21 Jul 1818 in Germany; died 10 Jan 1819 in Germany. RN=14783. Single; no children. U60 ii. Angela A Brausch. Born 21 Apr 1821 in Germany; death date and place unknown. RN=14784. Descendants, if any, unknown. U61 iii. Margaretha A Brausch. Born 8 Sep 1823 in Baden, Germany; died 27 Dec 1880 in Campbell Co., KY. RN=14785. Married Joseph Goetz (or Götz) on 3 Aug 1841 in Cincinatti, Hamilton Co., OH. RN=14788. He was born 10 Jun 1811 in Ulm, Baden-Württemberg, Germany; died 22 Jun 1872 in Campbell Co., KY. [NOTE 2: He arrived in New York aboard the Sully on 5 Nov 1834 from Harve, France.] Both Margaretha and Joseph are buried at Sts. Peter & Paul Cemetery, Gubser Mill, Campbell Co., KY. Descendants unknown. U62 iv. Anna Marie A Brausch. Born 31 Jul 1827 in Britten, Saarland, Germany; died 1862 in Campbell Co., KY. RN=14786. Burial location unknown. Descendants, if any, unknown. U63 v. Catherine A Brausch. Born 9 Mar 1828 in Britten, Saarland, Germany; died 20 Aug 1911 in Campbell Co., KY. RN=14787. Married Wendelin (or Wendell) Valentine Boschert, supposedly in 1847 in Cincinatti, Hamilton Co., OH, but unable to confirm. RN=14789. He was born 1821 in Baden-Württemberg, Germany; died 4 Dec 1902 in Campbell Co., KY. Both Wendell and Catherine are buried at Sts. Peter &Paul Cemetery, Gubser Mill, Campbell Co., KY. Descendants unknown. U45. Peter B Zenner. (Maria Helbron Zenner C, Johann Nikolas D). Born 23 Jul 1799 in Hilbringen, Saarland, Germany; died in Mechern, Saarland, Germany, date unknown. RN=2501. U64 i. Katharina A Zenner. Born 31 Dec 1827 in Mechern, Saarland, Germany; death date and place unknown. RN=8288. Descendants unknown. U65 ii. Michael A Zenner. Born 13 Mar 1831 in Mechern, Saarland, Germany; death date and place unknown. RN=8289. Married Barbara Leinen on 31 Jan 1856 in Hilbringen, Saarland, Germany. RN=8290. She was born 30 Jan 1830 in Schwemlingen, Saarland, Germany; died 29 Jul 1886 in Mechern, Saarland, Germany. Descendants unknown. U49. Carl Joseph Aloysius Mathias B Helbron. (Johann Baptist C). Born 21 Sep 1782 in Trier, Rheinland-Pfalz, Germany; died 11 Jan 1844, place unknown. RN=1714. Occupation: Senior Forestry Official (Supremi silvarum praefecti). + U66 i. Franz Hugo Karl A Helbron. RN=1716. U67 ii. Thecla A Helbron. Born 14 Dec 1828 in Mülheim, Rheinland-Pfalz, Germany; died there 18 Dec 1828. RN=1717. Single; no children. U68 iii. Carolina A Helbron. Born 14 Dec 1828 in Mülheim, Rheinland-Pfalz, Germany; died there 9 Jan 1829 . RN=1718. Single; no children. + U69 i. Jakob Karl 1 Helbron. RN=1719. U71 ii. Maria Josefine 2 Helbron. Born 23 Feb 1891 in Hilbringen, Saarland, Germany; death date unknown. RN=1722. No further information.